Lyndsay Johnson: The Mom Conference: A free online conference for moms running all week! 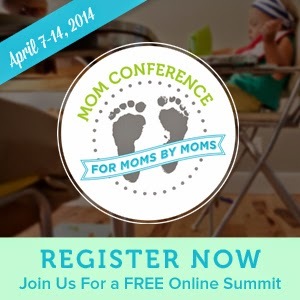 The Mom Conference: A free online conference for moms running all week! There are so many conferences out there that I see moms attending (about crafting, blogging, and more). But there is honestly no way I am going to be able to attend any of those conferences this year with two small kiddos and a newborn! But my little mommy heart leapt for joy when I saw this FREE ONLINE conference for moms running ALL THIS WEEK. It's called The Mom Conference. I signed up right away—it was totally free. Watch the video below to get a taste of what the Mom Conference is all about. I stopped in and already watched an amazing video on how to make all-natural laundry detergent. Click the image below to sign up!